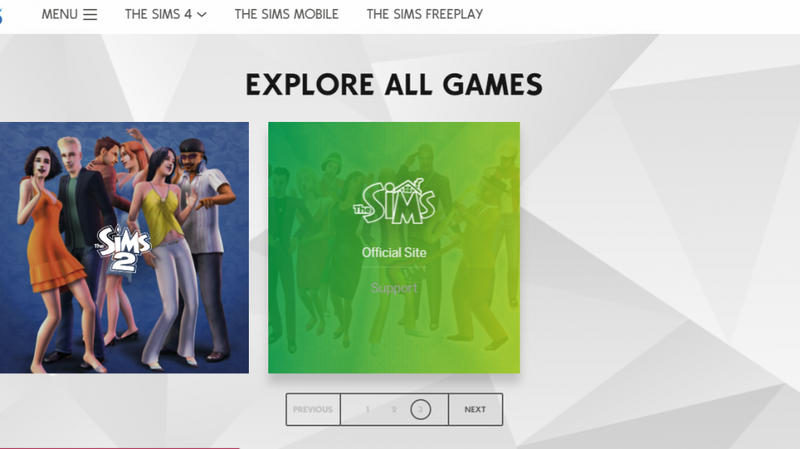 EA has added support for The Sims 1 on their main website. Clicking on The Sims 1 icon takes you to a new page with more detailed information about the game, along with an empty space next to the label Standard Edition. This is normally where the Buy Now link appears on other pages for games that are currently available to purchase. 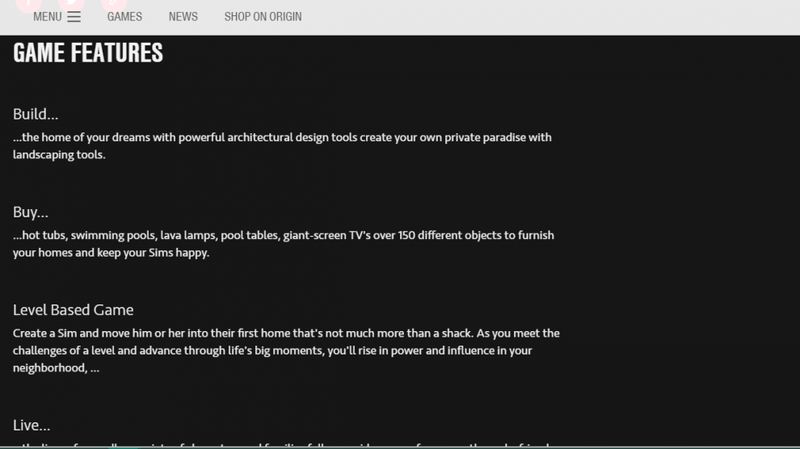 We can’t say for sure that this means The Sims 1 is coming to Origin, but it certainly does look like a hopeful sign! Would you like to see The Sims 1 make a return on Origin? Let us know in the comments! Thank you to TheSimsStyle on Twitter for first posting this information. It’s still there, you just have to go on customer support and hope you get someone that’s nice (with proof that you own at least the base game). 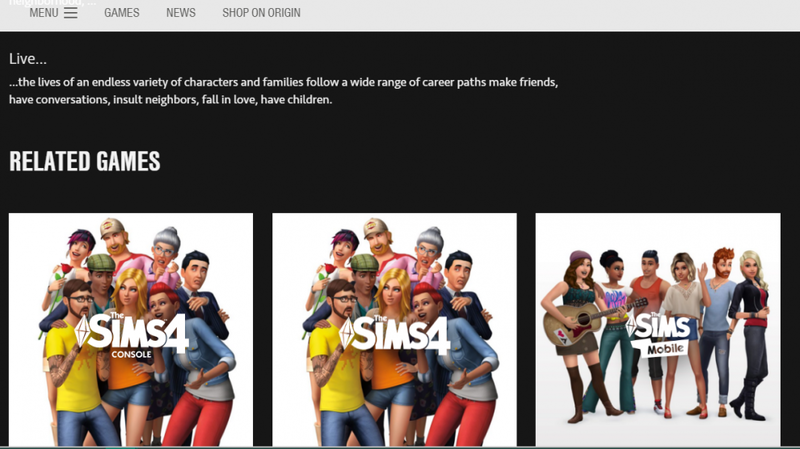 I would love it if they added The Sims 1 for Origin, finally allowing me to install it on modern PCs (my install disc no longer works). I would especially like it if you could buy the complete edition for cheap. I’m waiting for this for years!!! Sims 1 is AWESOME and I wish it would run on modern machines!! 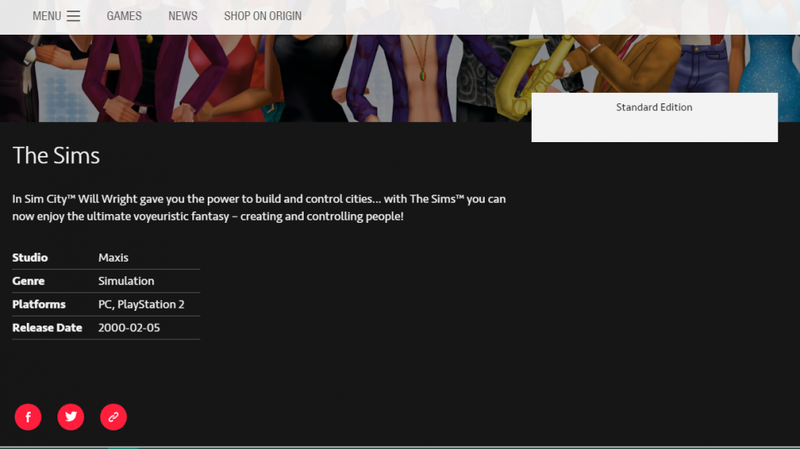 Sims 1 on origin? yes please!!!!!! I would love for Sims 1 to come to Origin! I just hope they can find a way to make it run on modern systems. I hope sims 1 will return, BUT for free! Like they did for the sims 2 ultimate collection. I mean I have copies of the sims 1, why buy it again? The Sims FreePlay: Holiday 2017 Update Now Available!